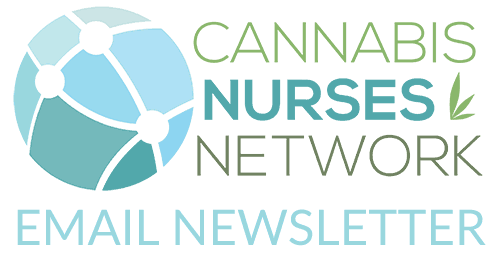 What Makes a Cannabis Nurse? For most nurses, the journey to becoming a cannabis nurse begins with a passion, a curiosity, and asking “Why?”. Witnessing the transformative power of the sacred plant1 on the health of a patient or loved one, prompts a paradigm shift in our understanding and thinking. A growing number of cannabis nurses are also becoming cannabis patients. to realize that previously held stigma regarding cannabis was fueled by profit-driven propaganda, that began in the 1930’s.3 Learning about the hypocrisy of cannabis prohibition and subsequent Schedule 1 status, while the US Government issued patent #66305074 recognizing the health benefits of cannabinoids regarding several serious medical conditions including alzheimer’s and parkinson’s disease. to discover the historical use of cannabis as medicine. Learning that for 5000 years in cultures worldwide, cannabis has been an honored and sacred plant medicine.5 Being left to question the wisdom in 80 years of cannabis prohibition. While recognizing epidemic levels of chronic illness such as cancers, neurodegenerative disease, and autoimmune disorders, which are increasingly affecting children; unlike prior generations. 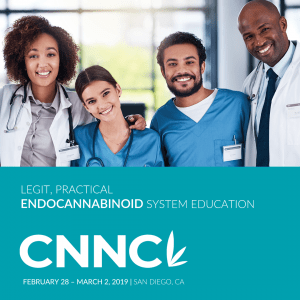 The widespread impact of multi-generational endocannabinoid deficiency6 becomes apparent, and sparks ideas of how addressing natural deficiencies may help relieve, repair, or reverse our nation’s chronic illness epidemic. whose inner fire ignites and blazes upon recognizing the potential of cannabis, to help revolutionize the healthcare industry.7 Cannabis plant medicine, has advantage over synthetic medicine, due to widely potential healing found through the entourage effect of varying cannabinoid and terpenoid profiles.8 Some may say; Cannabis is a competitor to nearly all pharmaceuticals. Why the US made marijuana illegal. Bridgeman, M. B., & Abazia, D. T. (2017). Medicinal Cannabis: History, Pharmacology, And Implications for the Acute Care Setting. Pharmacy and Therapeutics, 42(3), 180–188.